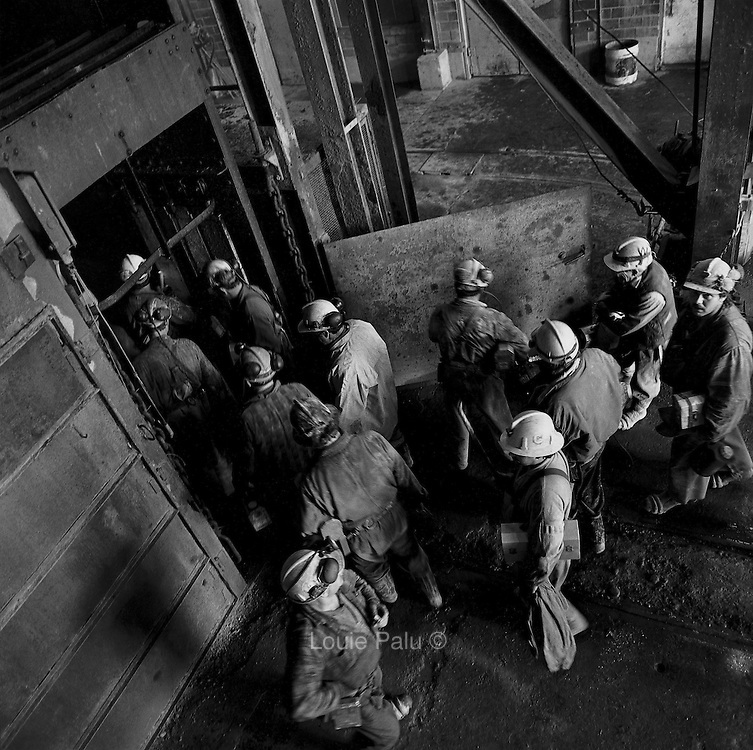 Miners entering the cage on surface for the beginning of day shift, Kerr Mine No. 3 Shaft, Virginiatown, Ontario. From the book Cage Call: Life and Death in the Hard Rock Mining Belt. An in-depth project spanning over 12-years examining communities in one of the richest mining regions in the world located in Northwestern Ontario and Northeastern Quebec in Canada.